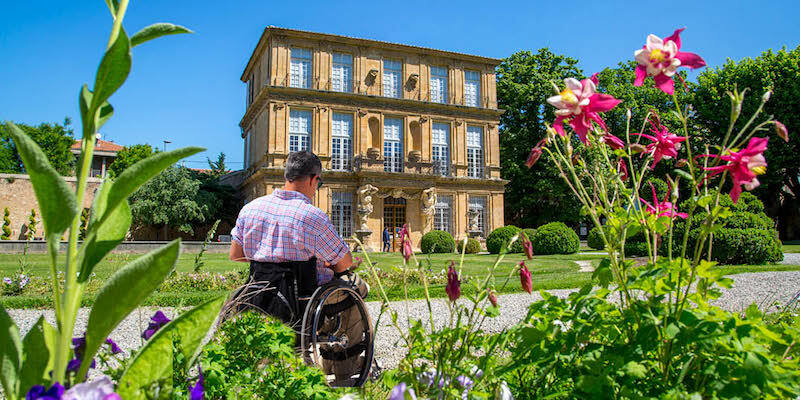 Aix-en-Provence Tourist Office has been approved by Tourisme et Handicaps since 2012 for 4 types of disability: physical, visual, hearing and mental. Therefore, in order to welcome the disabled clientele the best way, the reception staff is devoted to provide a personalized service and has received an awareness training in iconicity and introduction to French sign language. Public car park, disabled spaces. Guided visit in wheelchair of the Aix historic centre is available. 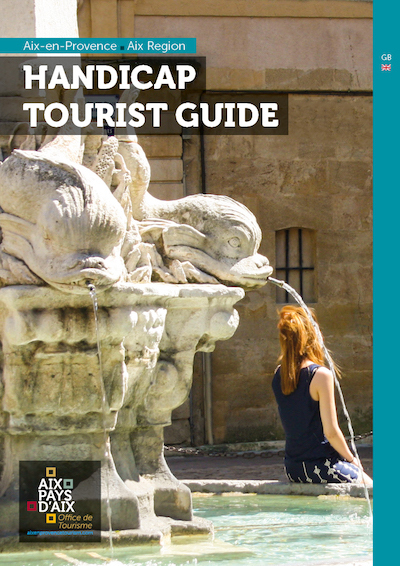 Adapted guide of the touristic offer and public services. Counter height adapted to wheelchairs. Sliding doors at the Tourist Office entrance. Digital information terminal can be adjusted for height. Documents of tourist facilities written in large, contrasting print. Relief map with a braille caption. Front desk with amplifier and magnetic loop system. Video visit of the historic centre of Aix in French Sign. Language and subtitles. Staff’s expertise regarding icons. Simplified maps of the city centre and the Aix Region with pictograms. Signs with specific images to help people with a mental disability to get around the Tourist Office. As part of the Decree n°201-431 from March 28th, 2017, the accessibility register of the Tourist Office is available upon request from the advisers of the tourist office. This guide aims to meet the needs of people with physical, sight, hearing or mental disabilities. Its purpose is to provide information about various tourist attractions to help you prepare your visit. It mentions the sites which are accessible or have the Tourism & Handicap label, as well as their facilities.